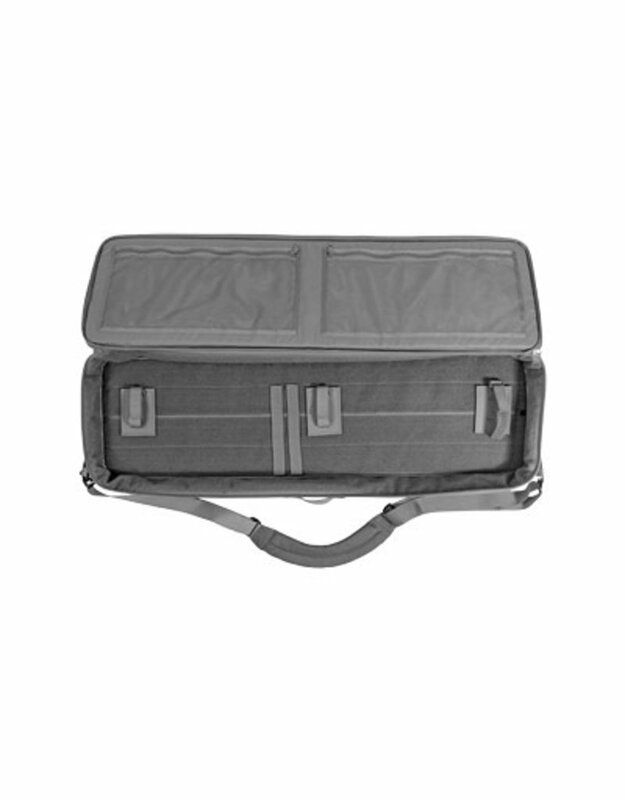 The Grey Ghost Gear™ rifle case comes with solid construction, endless configurations, and is a looker to boot. We certainly like the way it carries our rifles. 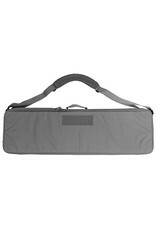 There are 2 attachment points on either end of the bag for attaching the carrying strap that is included. 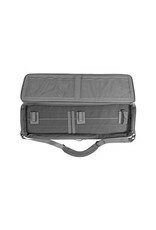 The front of the bag features a 8X3 inch loop field to attach patches. The inside if the lid has two zippered mesh pockets to store loose items, cleaning kit, mags, ECT. Inside of the body of the bag is covered in loop. this allows the three provided attachment panels to be used in an infinite number of placements to hold any 38 inch or shorter rifle in place or to store a longer rifle in 2 pieces. 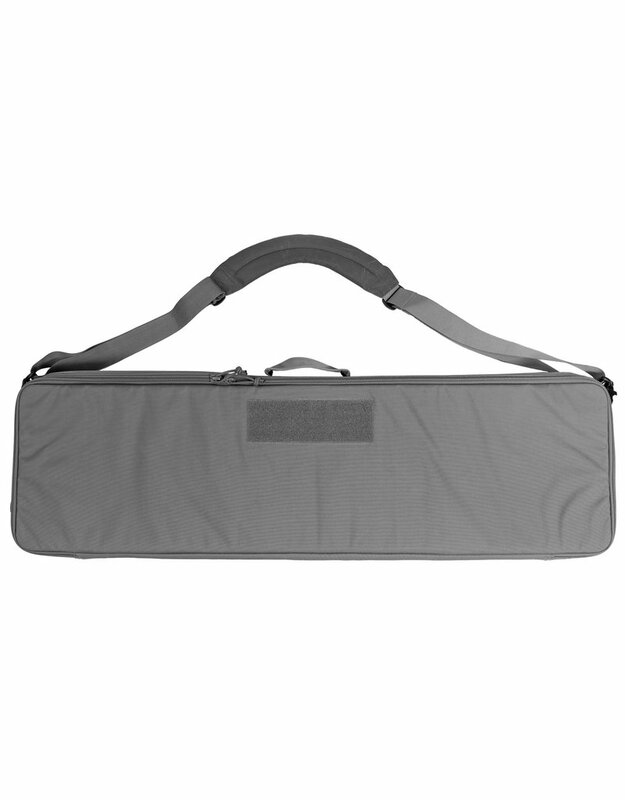 There are two additional flat tie downs to secure a smaller item in the bag, such as a hand gun or spotting scope.